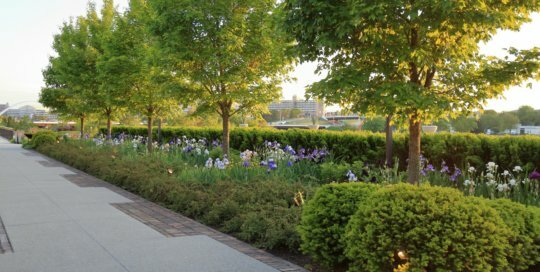 The Ruan Allée (pronounced al-lay) is a shade tree-canopied promenade that forms the architectural backbone of the Botanical Garden, sited to draw visitors from the terminus of the boardwalk to a future garden. 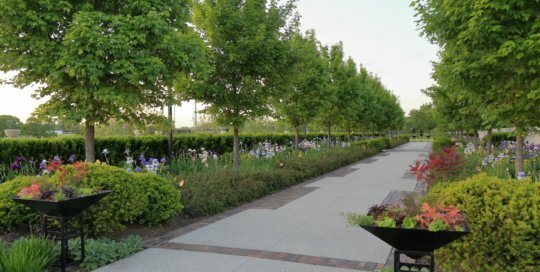 Formed by a 220-foot long row of 20 Acer miyabei ‘Morton’ (State Street® maples), the Ruan Allée reaches its peak with a late-spring display of 3,400 bearded and beardless irises that populate the mirrored, symmetrical planting design underneath the canopy. 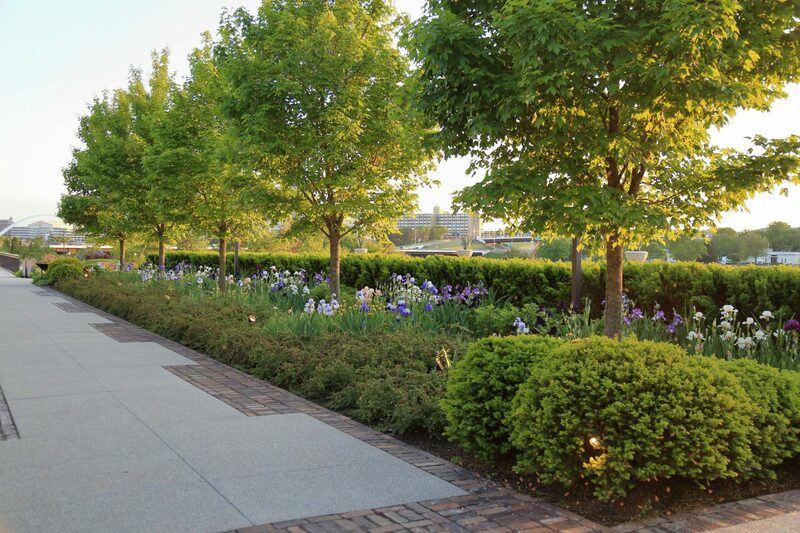 The hardscape features architectural bands of reclaimed bricks that were manufactured on the Botanical Garden site in the early 1900s when the property was home to a brick and tile factory. 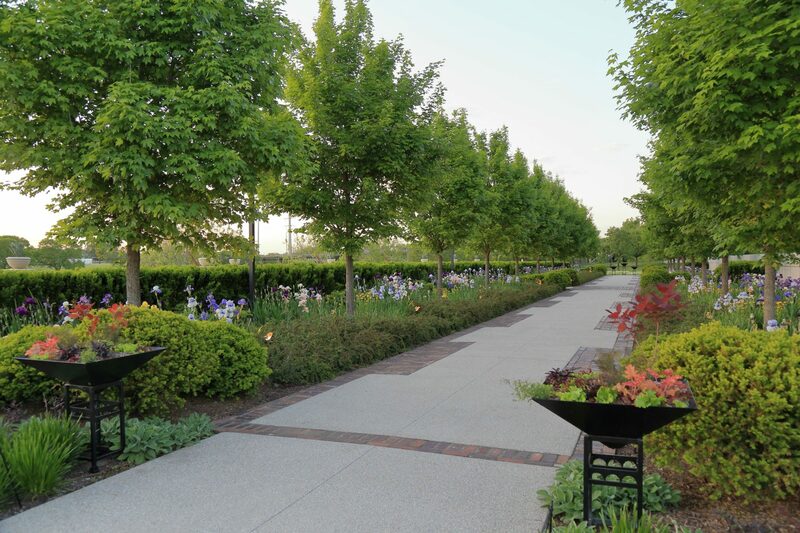 The Ruan Allée is made possible through the generosity of the John Ruan Foundation and Bankers Trust. 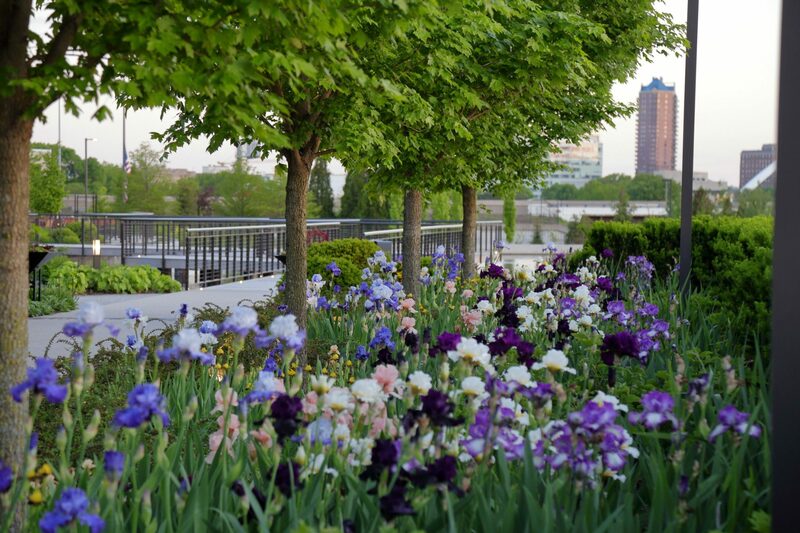 Bearded irises abound throughout the Ruan Allee on May 17. Photo by Kelly Norris. 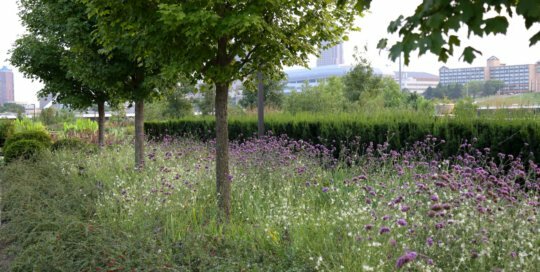 Verbena bonariensis (purpletop verbena) and Gaura 'Star Struck' (Star Struck gaura) maintain a colorful haze along the Ruan Allee. 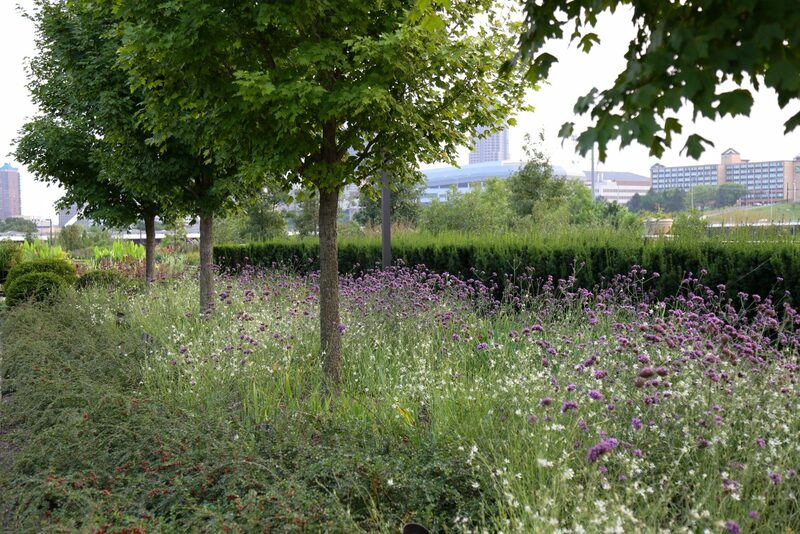 The Ruan Allee on May 17. Photo by Kelly Norris. 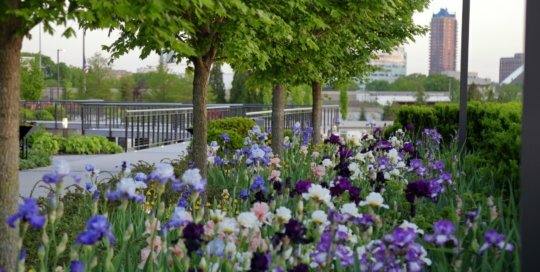 Bearded irises along the Ruan Allee. Photo by Kelly Norris.